thrift'n on a thursday | vol 56 — HANALULU CO.
We were in for a treat while we were out thriftin' today. 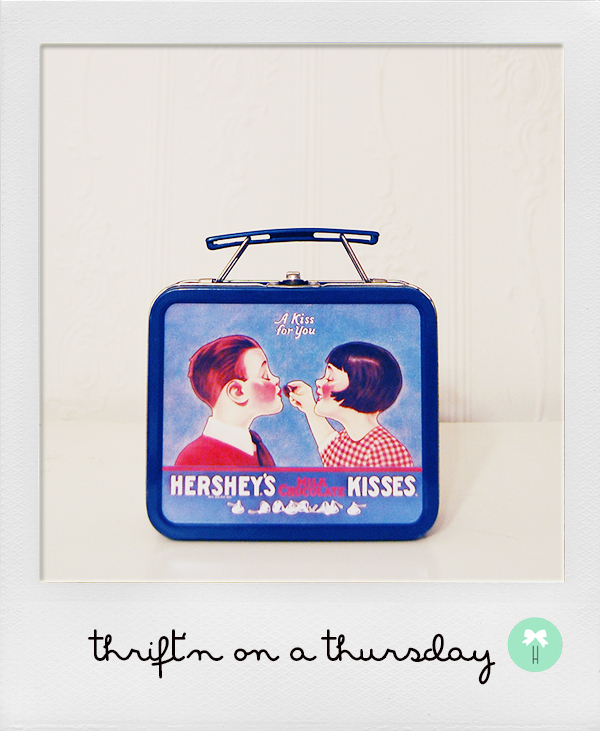 Check out this little vintage cutie! We love how the little girl is feeding the boy a Hershey's kiss! This tin box is from the 1990's and is just adorable. We snatched up this find for just a whopping $3, what a deal!